A laptop isn’t always the best option when you’re running a busy service so we designed ResDiary Plus, the restaurant iPad app that manages your tables with ease. 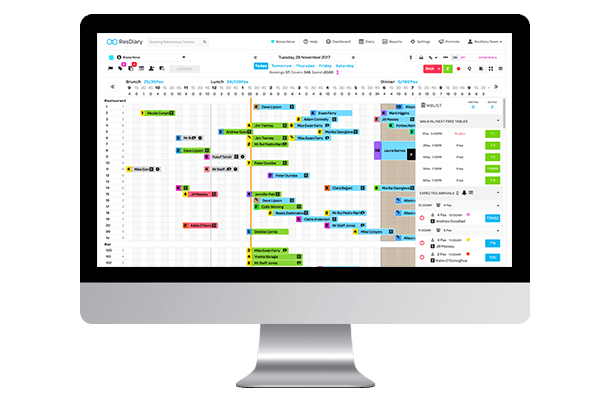 Specifically created to work alongside your main ResDiary browser app, it is slick and fast for use in service; perfect for restaurant managers and FOH staff. ResDiary Plus is a free app, available for use for all ResDiary customers. Simply download the app, log in with your usual ResDiary username and make the most of the great table management features. Designed as an in-service tool, meaning it’s slick and fast. Update the diner’s journey, take reservations, book diners on special promotions and run your service from your iPad. Full reservation process means you have all the information you need at your fingertips. Take deposits, store card details, and process and track payments, directly from your app. No internet access? No worries. ResDiary Plus works offline. 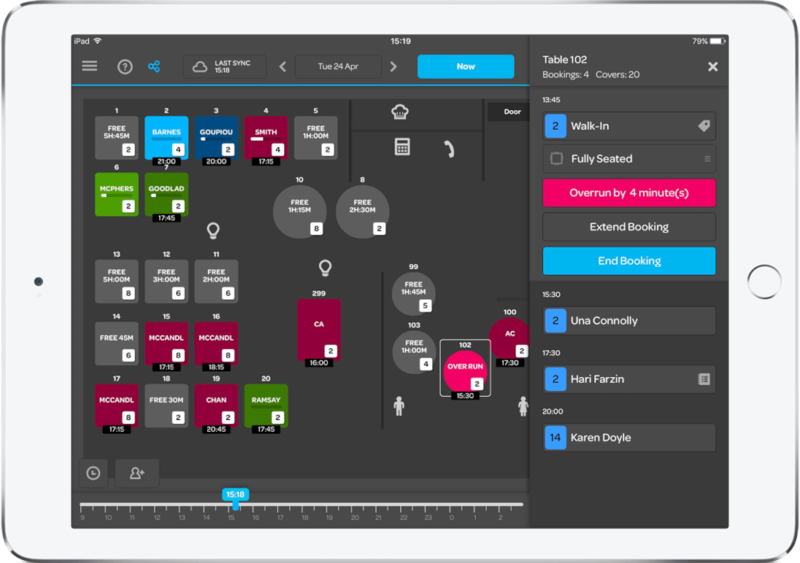 Our iPad app syncs with up to eight other iPads for real-time updates and table management. Integrated W8List means that you never turn away another walk in. See a complete overview of your restaurant with our table plan view. Access the grid view for even easier in-service use. The ResDiary Plus restaurant iPad app has been specifically built to be as in-service-friendly as possible. Settings and reporting are only available on the main ResDiary browser app. Any changes you make, like adding users, changing table capacities or closing out parts of your diary, will automatically update to ResDiary Plus when you have an internet connection. No commission through your sites and social media or our sites.